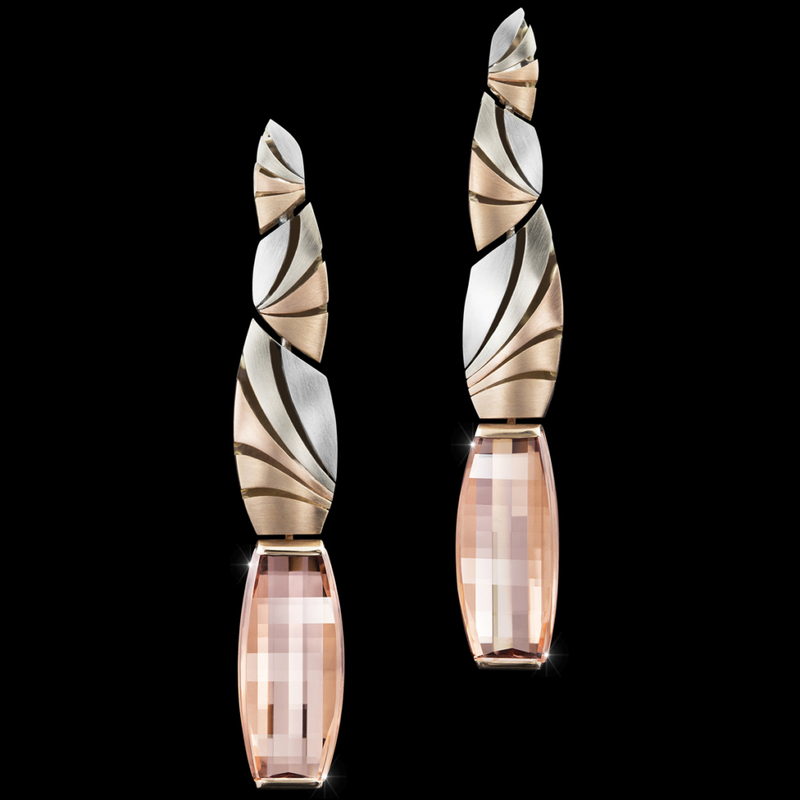 Dramatic and elegant, Cosmos earrings showcase dazzling morganites cut by award-winning lapidary Stephen Avery. They are crafted in multiple colors of rose and white gold with an glowing satin finish. Please call (949) 715-0953 to use the form below for additional information.